Use this screen to add custom pages for use in external interface. A fresh OTRS installation already contains some custom pages by default. 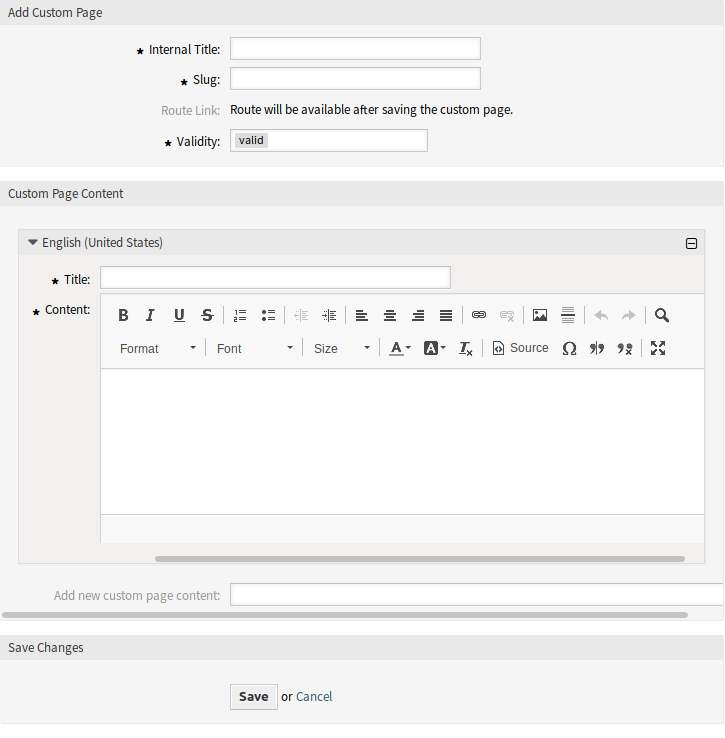 The custom page management screen is available in the Custom Pages module of the External Interface group. Make sure to save your changes when you finish. The new configuration will be immediately deployed. Click on the Add Custom Page button in the left sidebar. Click on a custom page in the list of custom pages. Click on the trash icon in the fourth column of the overview table. Click on the Confirm button. If several custom pages are added to the system, use the filter box to find a particular custom page by just typing the name to filter. The name of this resource, that is only displayed in the admin interface. Any type of characters can be entered to this field including uppercase letters and spaces. The name will be displayed in the overview table. This will be the URL of the custom page. Recommended characters are lowercase letters, numbers and minus sign. In this widget can be added some localized content for the item. The name of this resource in the given language. 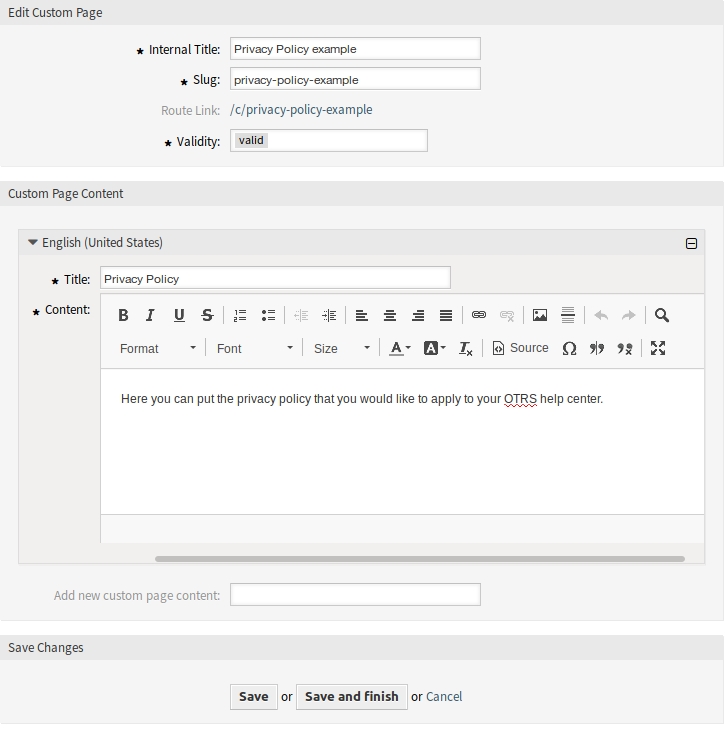 Any type of characters can be entered to this field including uppercase letters and spaces. The text for this item in the given language. Select which languages should be added to create localized item content. All added languages can hold its own localized content, that are explained above.